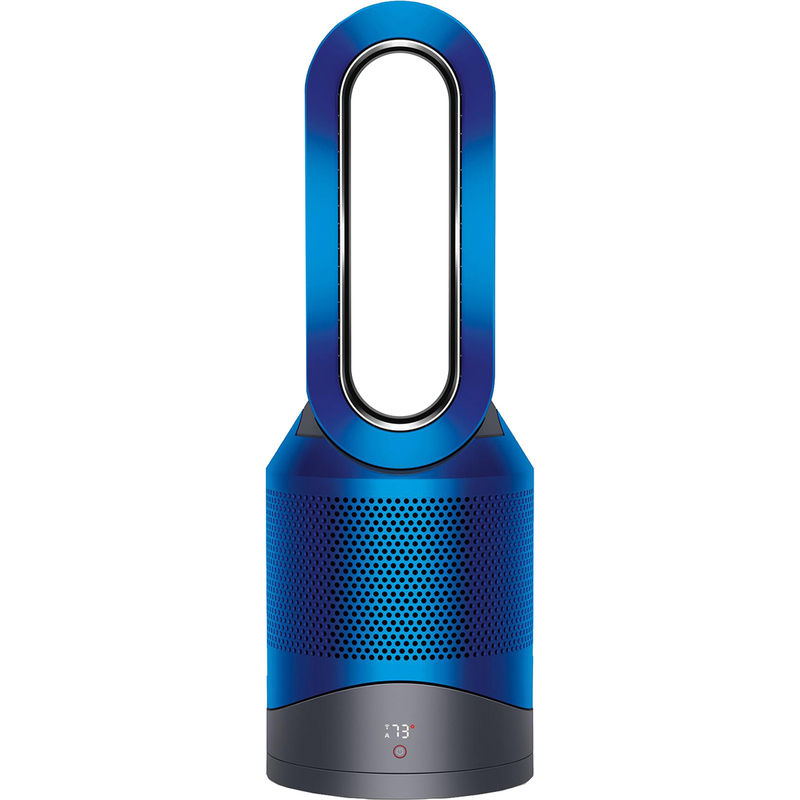 The Dyson Pure Hot+Cool Link purifier heater fan has triple functionality. It purifies all year round, quickly heats the whole room in winter and keeps you cool as a fan in summer. As a purifier, its HEPA filter removes 99.97 percent of allergens as small as 0.3 microns from your home. A second, active carbon layer in the filter also helps capture odors and potentially harmful toxins such as paint fumes. The machine is certified Asthma and Allergy Friendly and awarded the Quietmark accreditation. It purifies intelligently - automatically monitoring and reacting, and then reports your air quality information to the Dyson link app so you can remotely control your environment anywhere, anytime. Whether in heating mode or cooling fan mode, jet focus control projects either a powerful stream of focused air or diffused mode for wide air projection. The machine also features a sleep timer, night-time mode, auto mode, and is easy to clean. No fast-spinning blades it's safe for little fingers or paws.